If Film Brain actually reviewed hockey seasons his review of the Oilers 2014 would be a blood bath. Poor calgary! They only get 2 free points while the team their battling with for a playoff spot, the kings get 4 free points against the oilers. Holy God jeanshorts, that’s amazing! Oh boy, watch out for the grit…. Someone at the Nation Network is a fan of Mathew Buck apparently. Play hard, be competitive, but lose out this string. Can’t lose to the Shames! If we win one let it be that one! Let’s go 1-9 knock the flames out of the playoffs and then get “The Precious”! The article says Martin Marincin will stay with Andrew Ference while Nikita Nikitin stays with Mark Fayne, but the chart put Martin Marincin with Mark Fayne and Nikita Nikitin with Andrew Ference. So which one is correct? 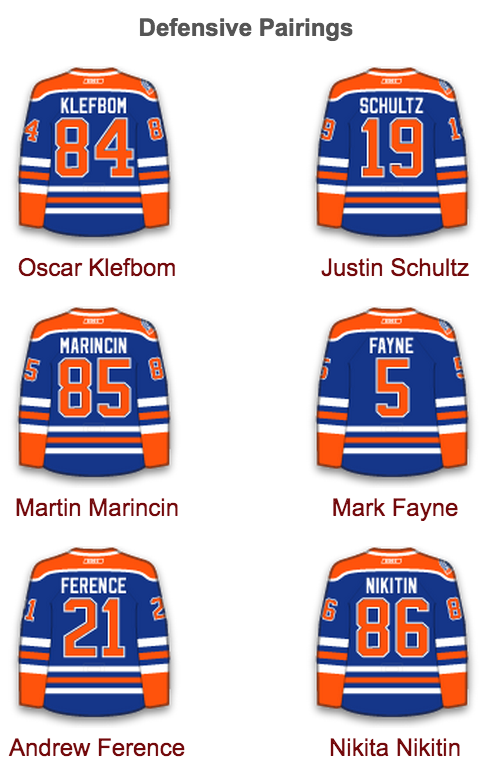 Gregor I agree they need a 1st pairing D or at minimum a quality 2nd pairing D to either matchup with Klefbom or Fayne. 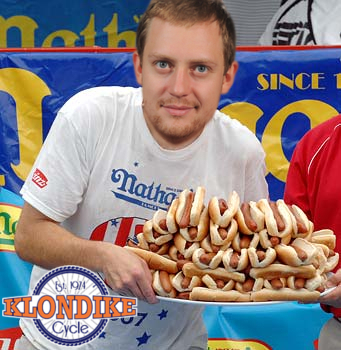 It’s another wasted year if we start the season next year with all of Nikitin, Ference, and Schultz. None of them are capable of handling anything above 3rd pairing matchups. In terms of what they need to change the mix. I dream of them somehow picking up Wayne Simmonds. Something about the way that guy plays would mix in with the top 6 here perfectly. Rather them go 0/10 to end this garbage season anyway. Makes 0 sense to cheer for them to win out. Cheering to lose goes against every fiber of my being. Especially since one of those games is against the Flames! The Oilers don’t need to tank the rest of the season, I think the loses will just happen regardless. 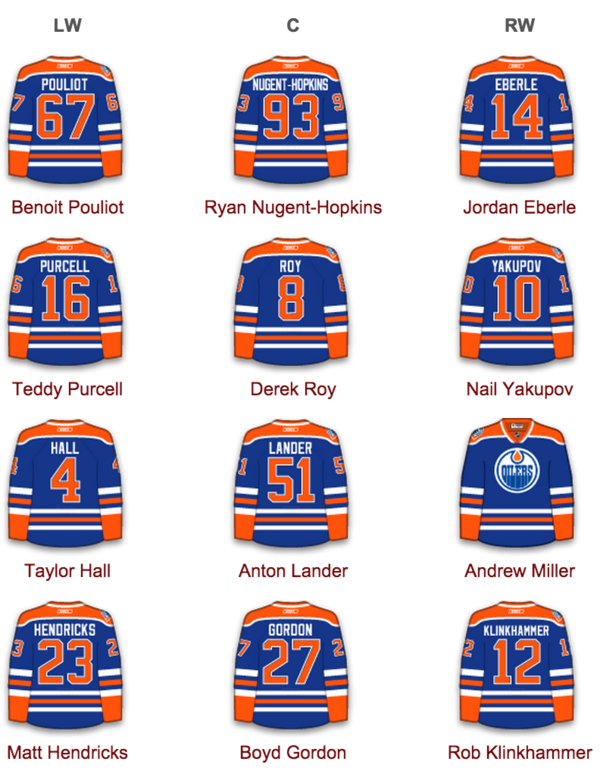 I would like to see the Oilers put more minutes on those players at the bottom of the line up. There is zero need to play Schultz 25 minutes a night, play Marincin 20-22 minutes. See how he responses. Play the crap out of the Roy & Yak. Let’s really see if they have something. The time for assessment is here, no sense watching what you have already seen all year long! Let’s give the Jets a lift tonight and a kick at the Flames on April 4th, and I don’t mind another kick at the Canucks on April 11th. Win or loss, let go to OT so either team can get a loser point. Great. Eberle can score points. My issue with him is that he is absent at the start of the year. 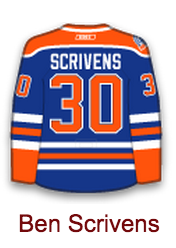 Granted the Oilers are out of the playoffs in January every year hes played here. But if you ask me, October to January hes pretty streaky and doesn’t show up. Ever notice how he looks really driven against Eastern conference teams and against big western teams he looks sheepish? He may be good but he also may be a better fit on an eastern conference team as that style of play might just suit him better. I really hope MacT gets a number one goalie so it could give us some kind of gauge on what really have and what needs to be done to improve our d- core instead of just saying we visually look better. Not sure about next year but the Wheat Kings’ 16 y/o Nolan Patrick is 6’3″ and 192 and scored 30-26-56 in 55 games this year. Draft eligible in 2017. *McDavid scored 25 in his draft -2 year. ***i hate sounding like a stats nerd. Also a great chance to check out Ivan Provorov and undrafted Tim McGauley (19 yo)who put up 42-62-104 including a 24 game point streak. JG – do you see the Oilers tracking toward a playoff berth in the next 2 or 3 years? Or – unless something out of the ordinary materializes – is it more like 4 or 5 years out? If we go 0-10-0 finish last, get McEichel, Lowe is fired, MacT is fired and everyone else is fired, I’ll consider it a successful final 10 games. wow this sure sounds great. That way we can restart the rebuild with a new group of managers who will want all of their own draft picks. This is the road that will lead us to 20 years out of the playoffs.. Say you get your wish and EVERYONE gets fired, what are you left with? So another team out of the playoffs, ready to play golf in April except no place without snow to play. Yay! Pretty much, except they have changed the management 6 times in 10 years. But the team was still near the bottom almost every year so their fans finally realize that changing management doesn’t usually translate to team improvement and now stick with Dale Tallon for the 5th years even the team only made the playoff once in 5 years of his management. You’re left with the opportunity to search for and hire competent management that knows how to build a winning team. Kinda hope we lose. Gotta keep the Flames out of the playoffs. I want the Flames in the playoffs. Then they don’t even get a 1% chance at McDavid!! The Oilers defense is their biggest problem. Has been for the last four years. Dominic Hasek in his prime could not win with the sad bunch the Oilers assemble year after year. Goaltending can wait. Get a solid defensive core 1st. I was not a fan of the Smid trade. (He was one of our best defenders.) He has hardly set the flames on fire with his play. ( 3rd pairing on a playoff hopefull.) Petry will likely be the same. non-Oilers games. It’ll help them realize just how bad our defense is. Goaltending is/should be considered low on the priority list. We need a trade that brings in some defensive help. Chicago will be off loading alot of salary this year. As will the Rangers and Pittsburg. I hope Nicholson is on it. We were at the 6-0 loss to the Blues around Christmas last season and it was beautiful to watch how their defence moved the puck and controlled the play. As far as individual talents, watching Doughty play in person at Rexall the past couple of years shows how huge of a gap there is between anything the Oilers have right now and what a true #1 d-man is like. My default team is usually the Hawks in the west, and Habs in the East, and I like pulling for the under dog. I have watched most Winnipeg games since TDL, and this team comes to play every shift, every game, and can score goals, despite Buff and Wheeler out of the line. They need for their goalies to stay hot. Early wild predictions SC… Rangers vs Ducks. I just want to see desire and effort.